← Top Ten Greatest Regional Bands!!!! My dad used to have a cabin in the San Jacinto mountains above Banning. 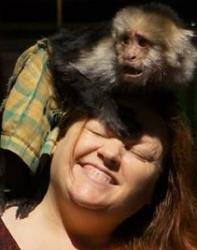 I always caught a ride with someone because the windy mountain road’s sheer drop offs freaked me out. As we drove out on the 10, I would catch sight of a crumbling roadside attraction. You may have noticed that The LA Beat loves roadside attractions. So I would shout in vain from the back seat, “Bible Land! Bible Laaaaaand!” but no one would ever stop. In 1992, my family decided to celebrate my birthday at the cabin, which really pissed me off. There were some great bands playing in LA that weekend and I didn’t want to be stuck with the tarantulas and rattlesnakes in the desert. Mr. Conibear of Detroit was originally a policeman or a carpenter, depending on the source. He discovered his flair for sculpting in sand in 1926 and worked the fair circuit for 30 years as a multimedia sculptor, using sand, ice, and even butter. As he moved west, he left sand sculptures behind in Arizona and California. His specialty was Jesus. 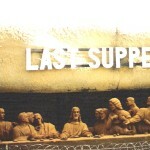 He sculpted ten different versions of The Last Supper. 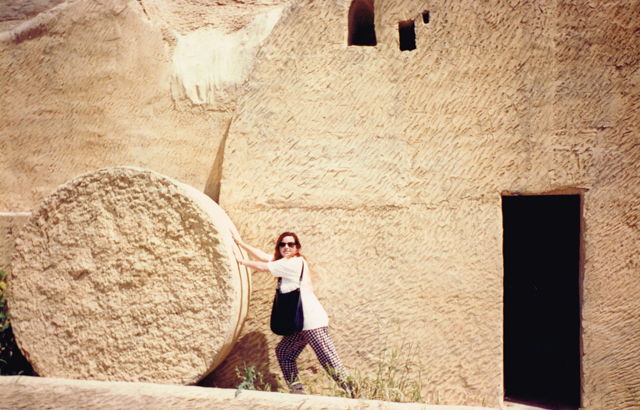 When I visited, the attraction was made up of a series of cement caves protecting the sculptures from the elements, 3 crosses on a hill, and a cement tomb with a rock that rolled back and forth to unseal the entrance to the tomb. 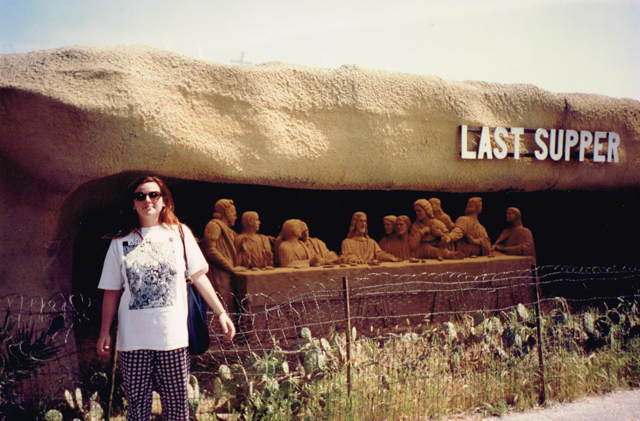 The sand sculptures included Jesus at Gethsemane and The Last Supper. 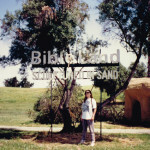 By 1992, Bible Land II was on its last legs, and no one was really watching us as we toured the attraction. So I started hopping over the barriers so my brother could take pictures of me posing with Jesus. My mom got so mad that we were being sacrilegious, she went to wait in the car. Hicks, Sam. “The Sand Man” Desert: The Magazine of the West. December, 1964. 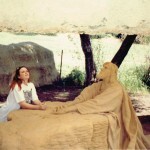 Morrison, Pat “Religious Statues Vandalized : Not a Grain of Doubt–Sand Sculptor to Rebuild.” The LA Times. October 11, 1986. 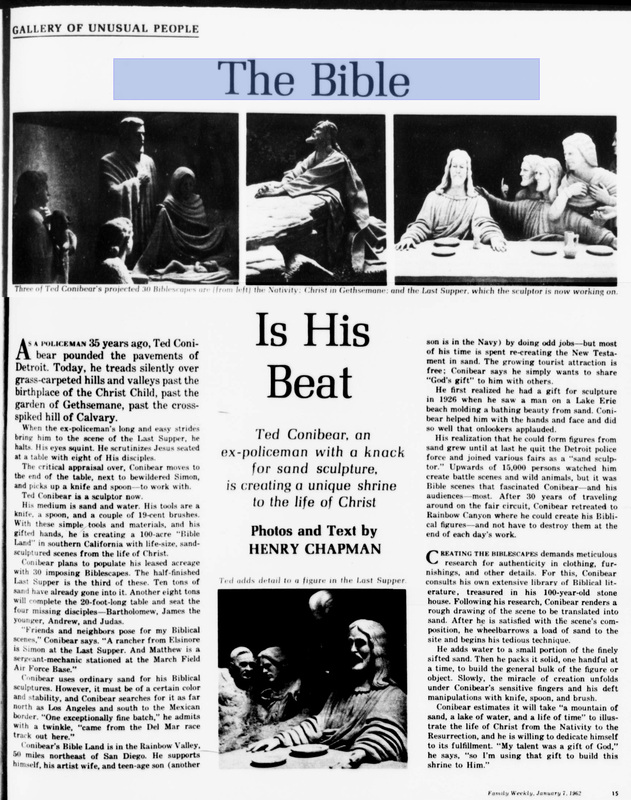 This entry was posted in Art, Attractions and tagged bible land, roadside attractions, ted conibear. Bookmark the permalink.